Few days ago, I’ve made a PINTERESTduction for everyone where I’ve given and (hopefully I’ve done it well) explained and give you ideas about this social media website. 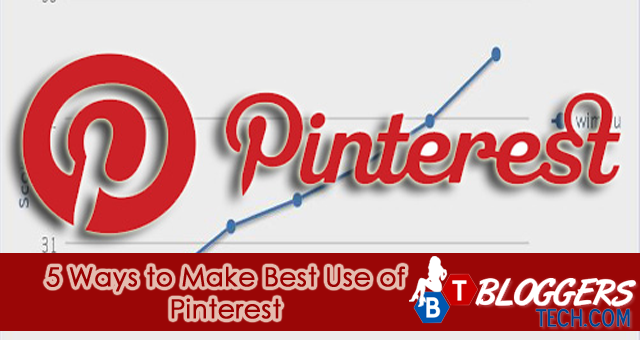 Today, I would like to share with everyone the ways I know that you can maximize Pinterest to gain a total benefit from this famous website. May it be for your business, e-commerce website, or blog you can do these 5 things I would like to share with everyone here in Bloggers Tech. If you say products we might just think that this could be just applicable to business websites or e-commerce websites, but really bloggers can benefit from this too. Through creating a pin board for your products, you can then categorize it. For example, if you have products for fashionable dresses, you can create a board and pin these product photos on a board with a CATCHY title and description and categorize it on “FOR HER”. As for bloggers, you might also have some products that you have reviewed or shared on your blog that you can pin. Like if you’re a blogger on technology, you can create a board for this and show the techie side of you on your board. I suggest you include some affiliate link on your post so that you could make money with your blog. Like, if you have a review on iPad, have a good post photo along with your post and have maybe an amazon link (affiliate link) so that in this way people who visited your blog will have an easy and fast access to buy and grab this product through you, and that means KACHING! I’m actually testing this here in Bloggers Tech (maybe you’ve noticed it) and so far I made 2 KACHING! Within few weeks. So through this we get to enjoy blogging more! Oh yeah! We all have specialties right? We’re good at something, you might be really good in cooking and me on the other hand is really good in eating (and I’m willing to eat your cooking :D). So through Pinterest we could show people (who may or may not know us) who and what we are, what we’re really good at! So if you’re good at cooking pin the photo of you cooking in your kitchen or maybe the video you have on YouTube where you are giving a cooking tips and recipes, or just doing your thing. Through this people could get to know us and be able to grab and attract any opportunity we can get. Like, if they like the way I eat your cooking, they could hire me as a model for a commercial and what I need to do is just eat in front of the camera! That would be totally cool with me, as long as they pay for what I’ll eat, LOL. If you’re following me on Pinterest I think you’ve noticed I’ve got 2 boards for other websites. The rest are mainly for my blog or for just some crazy stuff I could have on Pinterest. But anyway, through pinning the pins (a.k.a. : REPIN) of other Pinners you could increase your followers and increase the chances of people repining your pins too! Through this you could actually increase the chances of widening the area that you could reach out and get more traffic from different people, in different countries! Oh yes! You can actually link your Facebook and Twitter account with your Pinterest account. In this way, you could just blast your post on one click, that is just by pinning on Pinterest and let it also be shared on Facebook and Twitter!... and viola… spread the news and more traffic! Go viral baby! First of all, I don’t actually say that to men (the – hey jo, wanna have fun) I do say that just to act funny around people who can laugh on my jokes. I’m a fun person, I love fun, who don’t want to be into fun? So don’t be too serious with your boards. People may find you too boring to follow or, I dunno… not fun at all? There are actually more ways to maximize Pinterest so that you can totally take the chance to benefit from it. If I discover more ways, no worries I’m willing to share. Please do follow me on Pinterest, share, pin, and repin!